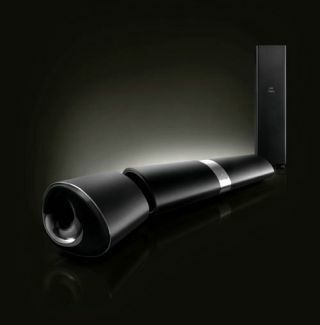 CES 2013: Philips to expand Fidelio range with high-end soundbar and in-ear headphones | What Hi-Fi? Philips is set to expand its Fidelio audio range here at CES with a new high-end soundbar (above) and in-ear headphones. The Fidelio HTL9100 soundbar looks extremely stylish, and is designed to deliver 2.1 cinema sound in its standard configuration, or 5.1 surround sound if you detach the wireless speakers. Additional soundbars will join the Philips line-up in 2013, including the cheaper HTL3120. Also new are the Fidelio S1 and S2 in-ear headphones which have been engineered, says Philips, "to deliver a balanced sound with deep bass, transparent midrange and refined treble". At the same time, the existing Fidelio M1 headphones are now available in additional colours: black with orange accents, or all white.